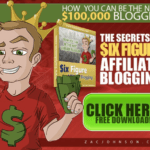 You know some great ways to monetize your blog. But can you monetize your Twitter efforts? Of course you can! So what do you need to make money on Twitter? Each network will have their own specifications to the minimum number of followers you need to have, but needless to say, the more followers you have, the more you will be able to ask for per tweet as the publisher. Also, the more well known you are in a niche, the more likely you are to be selected by advertisers who are targeting your type of following audience. So numbers, influence, and branding play a strong role in the amount of income you can earn from your Twitter account. There are several services that can tap into your Twitter account to send tweets on advertiser’s behalf through to your Twitter network, helping you earn money online. Let’s take a quick look at these services. Sponsored Tweets, probably one of the more popular Twitter monetizing services, allows advertisers to create message “suggestions” and then send them to publishers (aka, you) who are in their budget range. These publishers will then customize a tweet and send it back to the advertiser for approval. If the advertiser approves, the tweet will be scheduled to go out within the time frame specified by the advertiser, and the publisher will receive their payment. Twitter users can specify a specific amount they want to receive per tweet, and advertisers will bid based on that amount. Learn more about how to be an effective publisher and advertisers in the Sponsored Tweets’ blog. Ad.ly works on a similar principle, allowing advertisers to select publishers on Twitter, MySpace, and Facebook. Publishers will then have a chance to approve ads before they are sent out to their followers. Learn more about how Ad.ly works in their FAQ section. Magpie publishers currently reach over 18 million users on Twitter, making them one of the largest Twitter advertising platforms. They allow publishers to pre-approve ads, and set a specific number of ads they are willing to send during a particular time period for more control. Learn more about Magpie’s publisher guidelines in their FAQ. TwittAd pulls in information about your Twitter account from the Twellow directory, helping advertisers find Twitter publishers who fit their industry or niche. 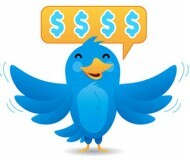 TwittAd pays publishers once they hit $30 within 7 – 10 business days via Paypal. Learn more about TwittAd in their FAQ section for Twitter users. TwitPub is a marketplace for buying and selling premium tweets. They put a handy video right on their homepage to detail how their services work. Have you used any of the above services for making money through Twitter? Please share your tips below.